Hundreds of years ago, when our ancestors relied upon the sun as their only source of light, the end of winter was met with much celebration. Although it is still cold in February, often the sun shines brightly above us, and the skies are often crisp and clear. As a festival of light, Imbolc came to be called Candlemas. On this evening, when the sun has set once more, call it back by lighting the seven candles of this ritual. The seven candles in this ritual represent various aspects of both the seasons and the human existence. Several symbolize the light that emerges as winter finally comes to an end, and another represents the purifying warmth of the hearth fires. One candle is symbolic of the barrier between the positive and negative in your life; a boundary of sorts between our world and the next. Another stands in for the magic of wisdom and inspiration, and for the light that comes into our lives when we experience love. If you're a solitary practitioner, don't worry! This is a ritual you can perform all by yourself. 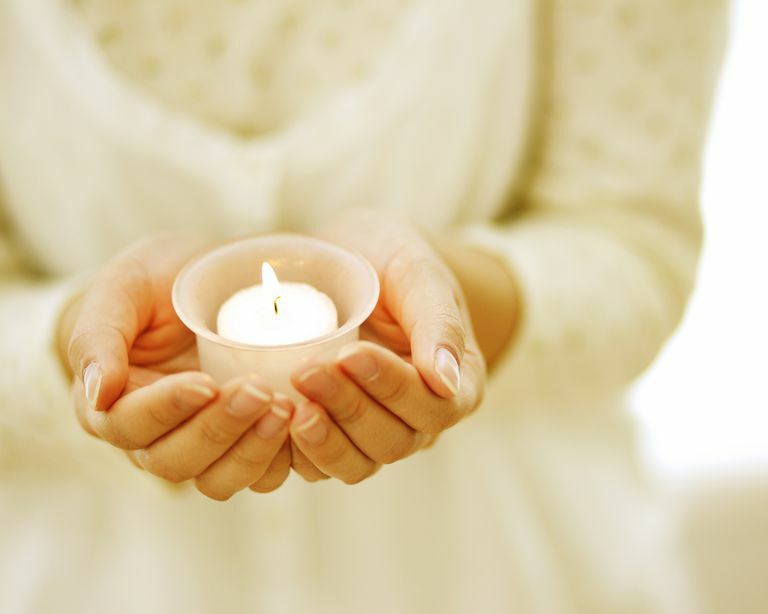 Although this ceremony is written for one, it can easily be adapted for a small group by assigning each participant their own candle, or candles, to light and take charge of. First, set up your altar in a way that makes you happy, and brings to mind the themes of Imbolc – rebirth and renewal, purification and cleansing. Although it is now dark, I come seeking light. In the chill of winter, I come seeking life. I call upon fire, that melts the snow and warms the hearth. I call upon fire, that brings the light and makes new life. I call upon fire to purify me with your flames. This light is a boundary, between positive and negative. That which is outside, shall stay without. That which is inside, shall stay within. Like fire, light and love will always grow. Like fire, wisdom and inspiration will always grow. Finally, light the last candle. As you do so, visualize the seven flames coming together as one. As the light builds, see the energy growing in a purifying glow. cover me in your shining light. Take a few moments and meditate on the light of your candles. Think about this Sabbat, a time of healing and inspiration and purification. Do you have something damaged that needs to be healed? Are you feeling stagnant, for lack of inspiration? Is there some part of your life that feels toxic or tainted? Visualize the light as a warm, enveloping energy that wraps itself around you, healing your ailments, igniting the spark of creativity, and purifying that which is damaged. When you are ready, end the ritual. You may choose to follow up with healing magic, or with a Cakes and Ale ceremony.